Doorbells really haven't changed since their invention. Sometimes people will have a slightly different combination of three notes, or maybe, if they're really fancy, it will be an entire song. But that's really about it. Whatever happened to the future when doorbells would talk to you? We're a little frustrated at modern technology right now, so we've decided to take an alternative route. Don't be fooled by the fact that this doorbell prop requires batteries. Once the batteries are in there, they activate the black magic our witches brewed up in the back. 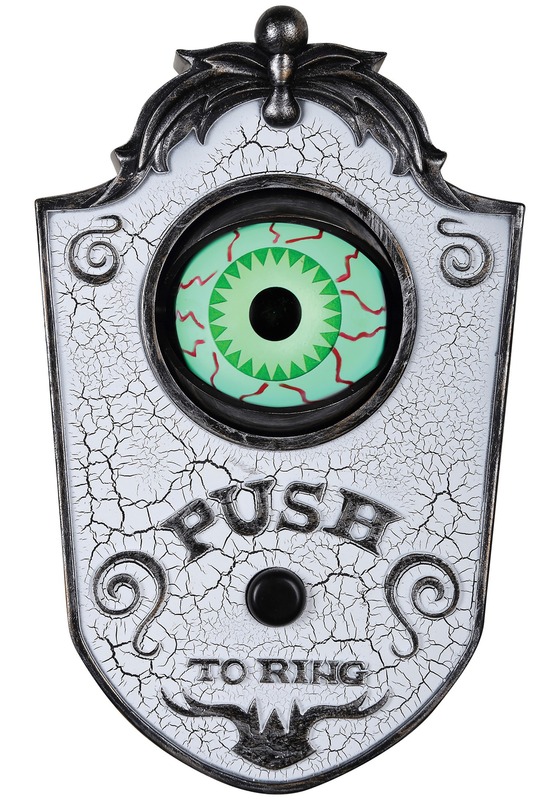 The eyeball stays closed when it's not in use, but as soon as the button is pressed and the tone rings, it opens up and greets the guest with a spooky introduction to your home. It's perfect for those people who live in the last, creepy house on the street, or if you just want to have a fun prop for your Halloween party.